The EVC150 is video conferencing’s price-to-performance leader, oering small tomedium-scale organizations a uniquely cost-eective full HD video conferencing solution. 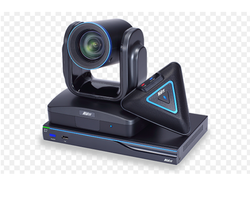 The EVC150 features real-time full HD video streaming and HD 720pcontent sharing along with a PTZ camera, an microphone array, a sleek UI and a compact system design. In addition to its impressive hardware, the EVC150 comes with a 3-year standard warranty and remarkably low total cost of ownership,translating into an astounding return on investment. 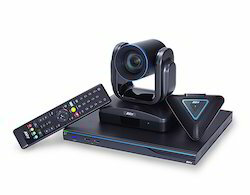 Whether for point-to-point conferencing, cloud-based video collaboration or hardware system integration, the standards-based EVC150 is the system of choice for savvy VC users.